See WIRV’s upcoming networking, professional development and advocacy events. More information about becoming a WIRV member. WIRV is a not for profit professional organisation, which through a female executive, connect, empowers and contributes to its members. 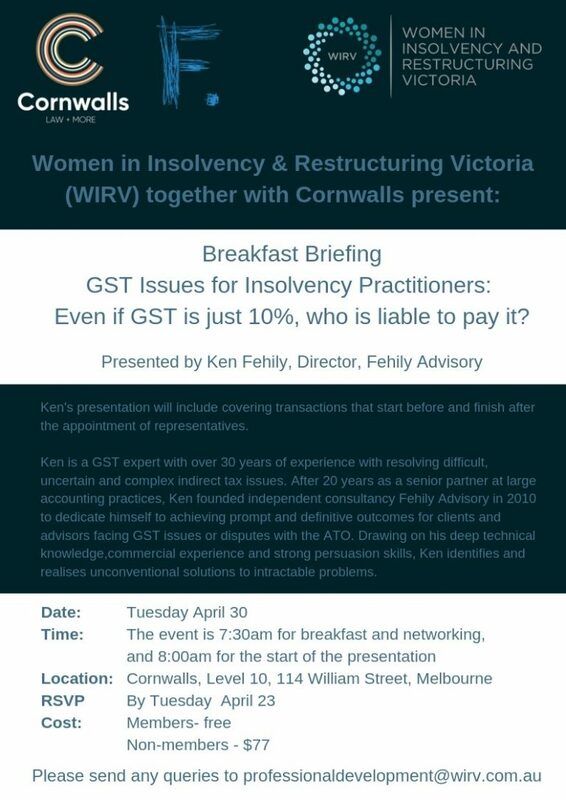 Women in Insolvency and Restructuring Victoria (WIRV), formerly known as IWIRC (Vic), was formed in February 1996 and since then has grown energetically in stature and momentum, boasting on average over 300 financial members. 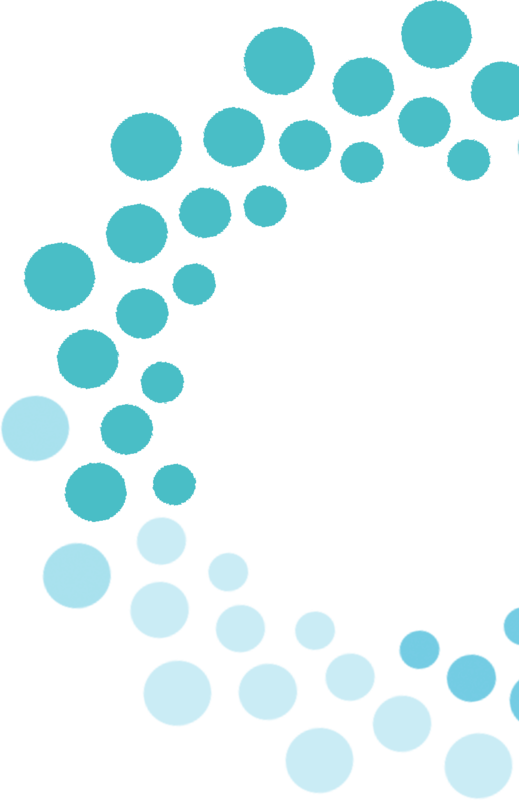 WIRV is a not for profit professional organisation, which through a female executive, connects, empowers and contributes to its members, the insolvency industry and the wider community. 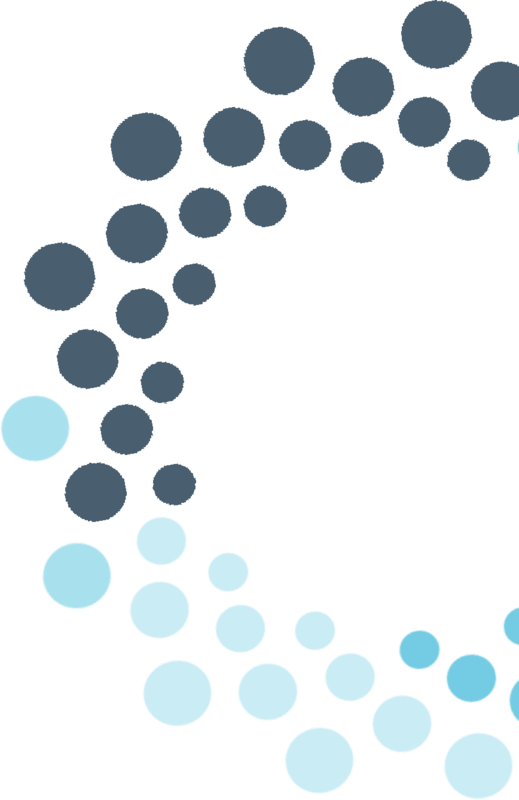 WIRV has a diverse membership base, which includes leading lawyers, barristers, accountants, bankers, academics and policy makers, and consequently provides excellent networking opportunities for those in insolvency and related fields. WIRV’s Advocacy Sub-committee provides a forum to advocate for and empower women in the restructuring insolvency industry. 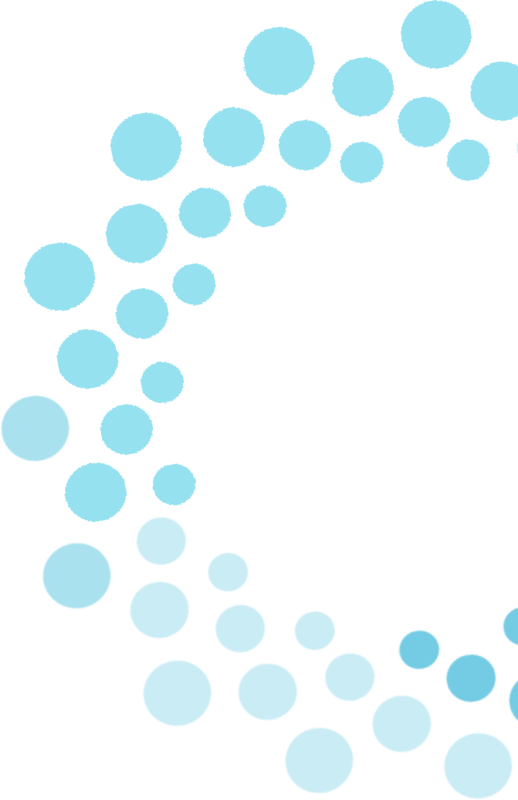 The Communications Sub-committee is responsible for facilitating the distribution of communications to the WIRV community. 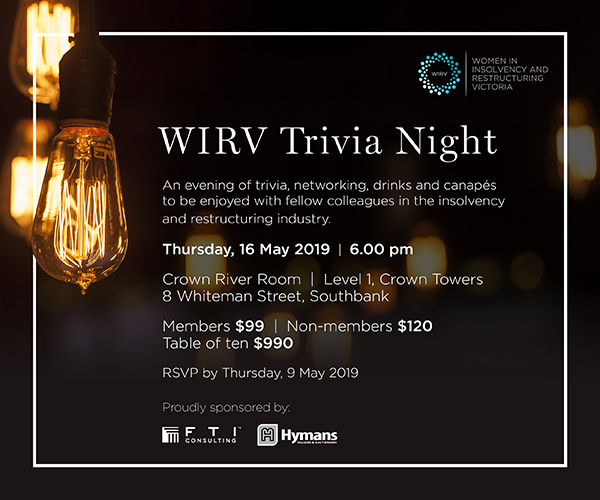 WIRV’s Networking Sub-committee hosts networking events for members of the restructuring and insolvency industry to get together. The Professional Development Sub-committee provides professional development opportunities for WIRV members through organising briefings. Subscribe here to receive emails about to our upcoming events and initiatives.